I will be giving this as a Christmas gift to my granddaughter who has become an avid puzzler and fan of the Harry Potter books. Other than that, I cannot really give a review on this puzzle - but anything created by Wrebbit in my experience is excellent in detail and construction. 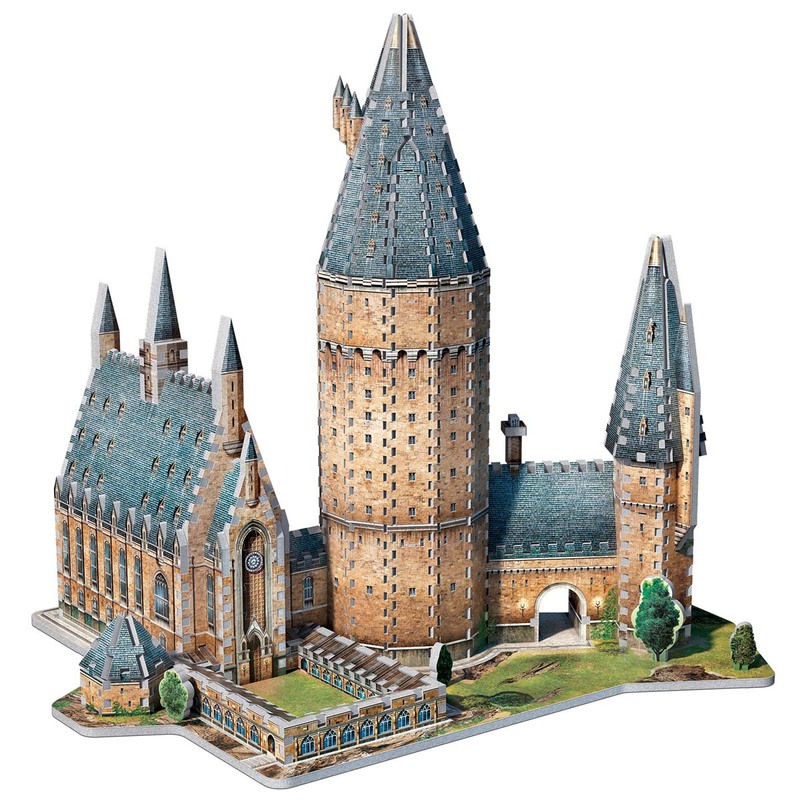 Tbook.com crawls the web to find the best prices and availability on 3D Puzzles and related Toys products like Wrebbit 3D Puzzle Harry Potter Hogwarts Great Hall, 850 Pieces. For this page, related items include products we find that match the following keywords: "3D Puzzle" at our vendor partner Walmart. Wrebbit 3D Puzzle Harry Potter Hogwarts Great Hall, 850 Pieces is one of 94 3D Puzzles and related products listed in the Toys section of Tbook.com If you have any questions on this product, please give us a call at 734-971-1210 during the hours of 9am - 5pm EST for assistance. Thank you for shopping at Tbook.com, the Internet Department Store!